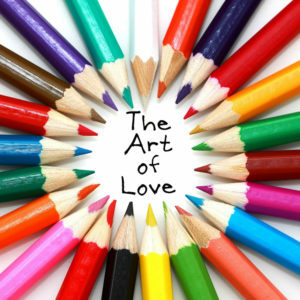 Eighteen local artists will be showcasing their love-themed artwork February 4 – 28, 2019 at Art of Love, an exhibit at Greensburg Garden & Civic Center. “Whether you have loved and lost or loved and won, we have all felt the ups and downs that come from that feeling of love in our lives. Whatever your current take, this collection aims to explore love in all its forms, from dark to light,” explained show organizer and curator Moira Richardson. With work utilizing such techniques as watercolor, acrylic, oil painting, wood-burning, mixed media, 3-d pieces, and even jewelry creations, the art is as varied and nuanced as the feelings of love itself. The artists hail from Connellsville, Greensburg, Jeannette, Latrobe, and Mount Pleasant to as far away as Pittsburgh and Philadelphia. The Art of Love exhibit will be available for viewing February 4 – 28, 2019. The Greensburg Garden & Civic Center is located at 951 Old Salem Road, Greensburg PA 15601. They are open Monday – Friday, 9 AM – 9 PM, and Saturdays 9 – 3 PM. Richardson, an artist in the Westmoreland Cultural Trust’s Incubator for the Arts program in Greensburg and a resident artist at You Are Here gallery in Jeannette, will be hosting an artist reception on Wednesday, February 13 from 6 – 8:30 PM. The event will feature music by local jazz ensemble The Moment, a love-themed photo booth featuring photographer Savannah Butler of Savvy Shots Photography, artsy vendors, a 50/50 raffle with Westmoreland Cultural Trust, and a basket raffle for a chance to win a variety of fun gift baskets. This event is free and open to the public.